Leukemia Fighter! 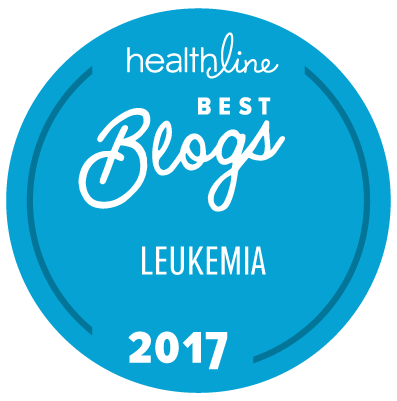 (CML); I Am Dancing and Traveling My Way Through: Leukemia, Medication and Bumpy Skin! It is strange how we take the smallest, little things for granted; such as smooth, clear skin. Recently, after not seeing my daughter for a while, I had the great pleasure of feeling her wonderfully, beautiful soft, smooth skin. I gave her a hug, and I swear her skin felt like silk; such a contrast to my now, sandpaper, bumpy skin. I really do not know which the culprit is; the leukemia or the medication. 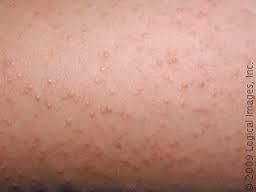 I have so many CML friends that suffer from the same thing; bumpy skin! Funny thing is that we are all on different medications. So, is it the medication? Or the Leukemia? Since I not only have bumpy skin, but really, really dry, scaly skin too, I decided to do an experiment for 30 days. So, for 30 days, I rubbed Lubriderm on my entire body, after my bath. I know that this doesn't sound like a very difficult thing to do, but for me, it was a chore! It is not like I have to coat an entire elephant in Lubriderm, or that it takes me more than a minute or two to do so, but it really is not something that I look forward to doing. I hate getting lotion in my rings, and I hate taking them off. I also don’t like to be cold, and living in the mountains, my bathroom is almost always cold! So being damp with lotion, in my cold bathroom, is not fun! There were many mornings that I wanted to skip the daily lathering of lotion, but I did not. I used it regularly, every day, and low and behold, my bumpy, scaly skin has improved by at least 90%. The majority of the bumps and the scaly-ness have mostly disappeared. I can now touch my own skin without being totally grossed out. 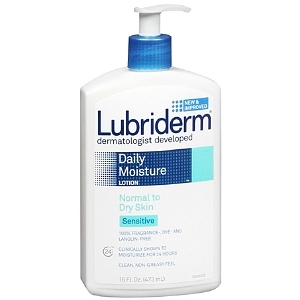 I feel as though my experiment has paid off, and I am going to continue to use Lubriderm on a regular basis. I do not receive and free product from them. Or anything for advertising from them; the recommendation came from my mother. She swears by it! I certainly am not a dermatologist, and I am sure that we are all very different, but if this helps even one of you, it will be worth it. You can purchase Lubriderm very inexpensively at Costco! Hoping for the same results for you!